Gardner Research published its rankings for the top machine tool producers, importers, and exporters in 2017 by country in its latest issue. With the rising demand from China for midrange products and automated manufacturing cells, Taiwan’s annual output value reached USD4.29 billion, ranked the 7th in the world, and annual export value reached USD3.35 billion, once again ranked the 4th largest exporter in the world. 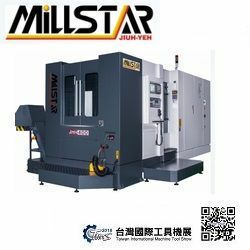 The consumption of machine tool in Taiwan reached USD1.78 billion in 2017 ranked the 9th in the world, while annual import value was USD840 million. Due to the strong growth in the North American and Chinese markets, the output value of Taiwan’s machine tool industry in Q1 2018 was USD1.05 billion and the export value was USD 0.83 billion, up 7.6% and 20.3% year over year, respectively. The machine tool industry in Taiwan is export-oriented, with exports accounting for 80% of the output. The main export countries are China (accounting for 33.2% of total exports), the US (accounting for 11%), emerging countries in Asia, and some parts in Europe. The biennial Taiwan International Machine Tool Show (TMTS) will take place from November 7th to 11th, 2018 in the Taichung HSR Special Zone, with 750 exhibitors occupying 4,300 booths. Themed with “Manufacture Linking • Activate the Future”, TMTS is the largest machine tool show in Taiwan this year. The comprehensive and diverse features of the industry supply chain will be on display, such as metal cutting machines, metal forming machines, machine tool accessories, parts, fluid power components, control and drive system & auxiliary equipment, cutting tools, toolholding & workholding devices, measurement instruments, and etc. as well as the machines with smart functions (such as temperature rise compensation, collision avoidance, and process optimization), and automated production cells and production line applied for “Integrated machine tools and automation facility (such as robotic arm)”. All exhibits displayed will allow the participants to experience the diversity of the supply chain of Taiwan machine tool industry and the state-of-the-art technology in metal processing. 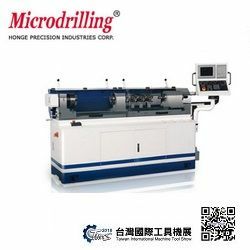 Many Taiwan local exhibitors will also attend this grand event, such as Victor Taichung Machinery Works Co., Ltd., SEHO Industry Co., Ltd., Tailift Co., Ltd., CNC-TAKANG Co., Ltd., and so on well-known machine tools suppliers. If you want to get more details about these exhibitors, welcome to visit their website. Taiwan International Machine Tool Show (TMTS), hosted by TMBA, held biennially and this year it will be on a large scale in Taichung from November 7th to 11th, 2018. The show’s chosen motto is “Manufacture Linking • Activate the Future”. The smartification of machine tools links the industry to global smart manufacturing trends, enhances the competitiveness of end customers, and taps the capabilities of Taiwanese smart manufacturing in an effort to provide buyers with complete solutions. 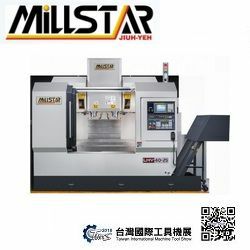 Taiwan machine tool and accessory manufacturers are ready to show their latest technology and products, as well as present the best choices and solutions to domestic and overseas buyers. We invite you to participate in TMTS 2018, lighting up the city of Smart Machinery – Taichung. Taichung Bike Week is opening tomorrow. So exciting event, isn’t? BEV.INT’L CORP, as one of leading bicycle components manufacturer, also attend this grand event. This is a great opportunity to discuss product and pricing with BEV for your MY 2017 bike range. It is best to arrange a meeting in advance with BEV. If you are interested, try to contact with BEV’s sales team of each brand separately. By the way, if you are a first-time user of TBW, try to see the overview of Taichung Bike Week below. TBW is the most important and unique trade show in the bicycle industry. Its unique format allows quality face to face time between buyers and suppliers. All this takes place inside five star hotels so you can work, sleep and play all in one location without the hassle of trekking in and out of an exhibition center. The event is run on a non-profit basis by bike industry professionals who volunteer their free time for the benefit of the whole bike industry community. Taichung Bike Week takes place at four hotels in Taichung–The Evergreen, The Tempus, The Splendor Hotel and The Lin Hotel. Each hotel can provide different sized booths and meeting rooms to meet exhibitors’ requirements. Concentrated Access to OE Product Managers From All over The World.